Heartbreaks! We've all been through it, right? Maybe when you were young and had your first crush, maybe that cute guy in your college, maybe the guy who lives right across your house, or maybe someone who left you for someone else… Every girl has that love chapter in her life which doesn't have a happy ending… But are heartbreaks really the end of this world? Or do we learn something from them? Well… Why not? Love is a beautiful feeling and heartbreaks, well, they are just a part of life. Here are a few love lessons that we all end up learning from heartbreak, courtesy Quora. 1. Ashish Patil answers on Quora: “When your heart is broken listen to the brain. Keep yourself busy but don't do stupid things. Keep being the good man/woman that you are. You shouldn't sacrifice your goodness just because someone else hurt you. Be nice to people. Good karma always pays back. Also, family comes first. They are the people who will support you in your darkest days. Spend time with them. Shower them with your love. I can fight the whole world if my family is besides me.” 2. Basundhra answers on Quora: Ever been in that position, where someone warns you against the person you are madly in love with, yet you being the nonchalant, bewitched bubbly lover dismiss it off to be just another instance of “how the world is envious of your love-story’’? That’s a mistake. I don’t ask of you to believe every word that you hear of your significant other prior/ while dating him/ her, but never outright dismiss any previous accounts or encounters that people share of that person. Because in case their accounts are true , you’ll have a hard time swallowing the truth later if you brush it off at first. Makes you the cynical lover but way better than being a victim, later on. 3. Sakshi Taneja answers on Quora: “Your happiness starts within you and your healing will start within you, from you. Nobody can love you more than you. The most important lesson a heartbreak can teach is that healing is beautiful. Bad times will make you focus on the good things that you weren't paying attention to. Because in the process of focussing on ourselves, chasing our dreams, doing what we love - not sacrificing ourselves for people, finding happiness within us and not outside, you will realize that you are much much more than the people you have been crying for.” Images: Tumblr, Giphy MUST-READ: Living With The In Laws? This Is How Couples Get “Alone Time”! 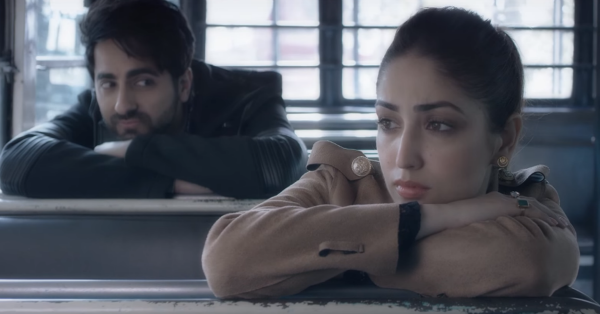 MUST-READ: This New Kanika Kapoor Song Is Just So… Heartbreaking!